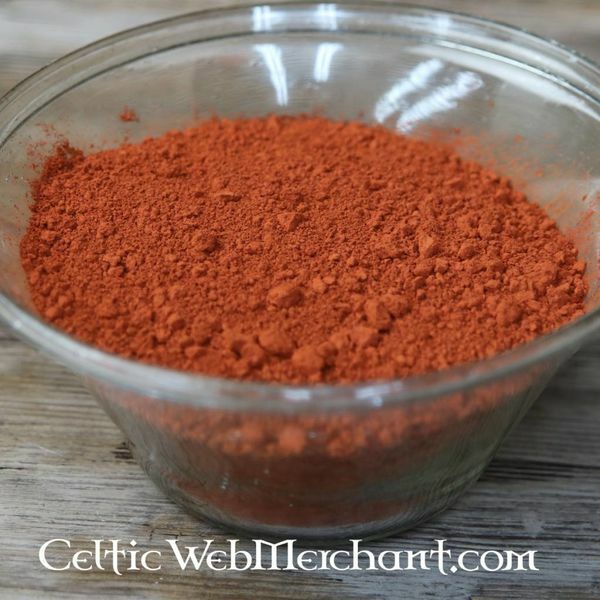 Red ochre has been used all over Europe for making shades of red since Prehistoric times. This ochre is extracted in the areas of France, Spain and Italy. It was used, among other things, for painting clothes, shields, wood, illuminating manuscripts etc. The color code stands for Red, dark, sedimented, top quality. 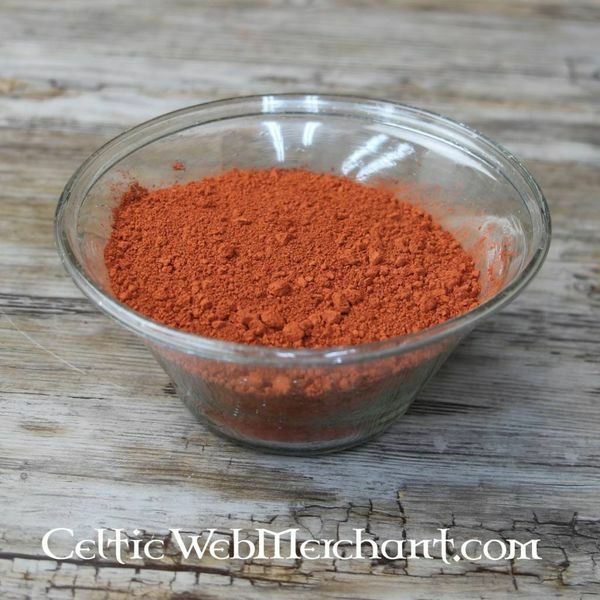 Ochre is an earth pigment that has been used in prehistoric cave paintings in Europe. These materials for dyeing were very popular in prehistoric times, and among a.o. the Celts, Germans and in Classical Antiquity. Ochre remained widely used until the 18th century for painting pictures, interiors, clothing and even buildings. The ochre is lightfast, half-covering to well-covering and has a good color ability. 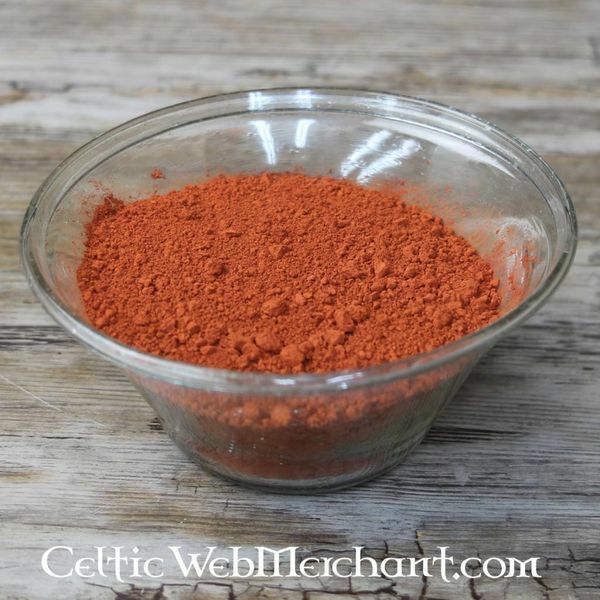 This pigment is non-toxic, it is even used as a dye in the food industry. It is advisable to wear a mouth and a nasal mask when preparing the substance. A lot of binder such as linseed oil is required to make oil paint from ocher. That is why the ochre colors quite dark in oil paint.